This form of commercial lease is designed for the letting of a workshop on a relatively short term basis. It also includes the wording required under the latest regulations to exclude the tenant from getting security of tenure under the Landlord & Tenant Act 1954. Though reasonably even-handed, the lease is generally landlord-friendly. 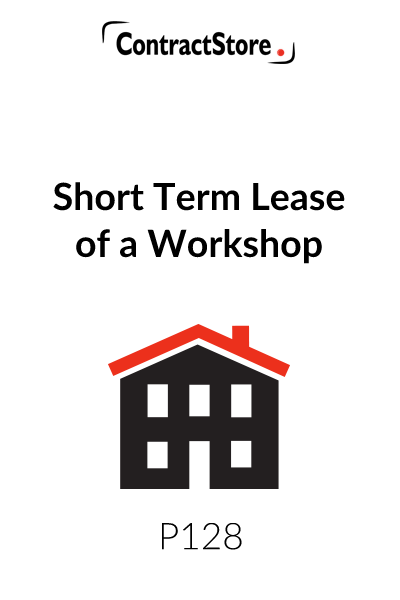 This form of lease is intended for use of a short term lease of a workshop (i.e. one of less than 7 years’ duration). Assignment and sub-letting is not permitted. It is assumed that the lease will be contracted out of the Landlord and Tenant Act 1954 and that it will be a headlease or, if an underlease, that it complies with the requirements of the headlease. It has been drafted so as to comply with the relevant recommendations of the Code of Practice for Commercial Leases (second edition, April 2002). Rent is the basic rent only. Insurance costs, rates and utilities’ charges will be in addition to the basic rent. The Building is the whole of the land and building owned by the landlord. The Premises is part of the Building which is let to the tenant. The description and extent of the let property will depend on the type of construction of the building. You should consider whether any structural or external areas should be included. The windows should be specifically mentioned. The lease is granted for a fixed term. No title guarantee is give. The grant is made subject to the matters affecting the landlord’s title at the date of the lease. The rent together with VAT on it and all other sums due under the lease are all reserved as rent. This Clause describes the rights granted to the tenant and the rights reserved to the landlord together with other rights to which the lease is subject. Reference is made to the rights and reservations in the transfer under which the landlord holds the freehold of the Premises. Clause 3.3 expressly excludes any rights over any adjoining property (other than any rights which may be specifically granted under Clause 3.2). Clause 3.3 also excludes the provisions of Clause 62 of the Law of Property Act 1925 in the absence of which the lease would confer on the tenant all easements, rights and advantages enjoyed by the Premises at the date of the lease. This Clause lists payments the tenant must make to include Rent and all outgoings in respect of the Premises to include VAT. It is for the landlord to insure the building (other than plate or window glass) and for the tenant to refund a fair proportion of the premium. This Clause includes an absolute prohibition on dealings. 4. To redecorate and replace the floor coverings at the end of the term. There is then a general repairing obligation on the tenant. On the assumption that the lease is not a full repairing lease, the Clause includes wording limiting the repairing obligation by reference to a schedule of condition. 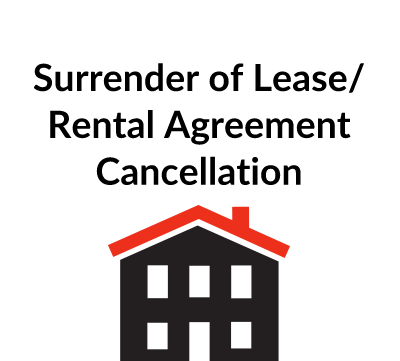 It may not be worth the time and expense of preparing a schedule of condition for a short term lease and, from the tenant’s point of view, it would be better to delete the obligation all together. If the tenant retains structural parts, the tenant may require a repairing obligation on the landlord. 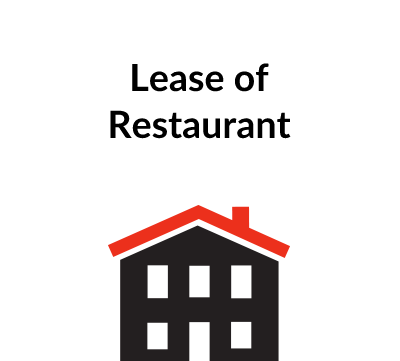 This Clause allows the tenant to put up and remove non-structural, demountable cafe fittings. Re-instatement is required at the end of the term only if this is reasonable. Otherwise the tenant may not carry out any alterations including alterations to service media. Clause 8 may therefore need to be amended if needed. The landlord has a right to enter the Premises to carry out repairs if the tenant fails to do so. The Permitted Use is as a workshop in connection with the tenant’s business. This Clause also covers further obligations placed on the tenant concerning his use and occupation of the Premises. 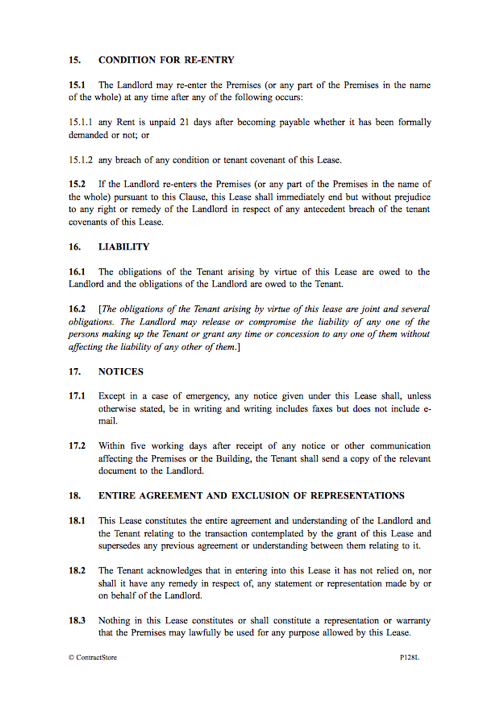 This Clause sets out the tenant’s obligations to comply with all lawful requirements in respect of the Premises. This Clause sets out the tenant’s obligations at the end of the lease to remove all stock, fixtures and fittings. There is a broad obligation on the tenant to indemnify the landlord both for breach of covenant and for the tenant’s acts or omissions. Acts or omissions are not limited to negligent acts or omissions and a tenant will need to check that it has appropriate insurance cover or seek to amend the provisions in this Clause. The landlord covenants with the tenant that, so long as the tenants pays the rents reserved by and complies with its obligations in the lease, the tenant shall have quiet enjoyment of the Premises without any lawful interruption by the landlord or any person claiming under the landlord. The right of re-entry on a breach of covenant by the tenant must be expressly reserved. Note to include the provisions of Clause 16.2, where the tenant is more than one person. This document includes a short form notice clause. Notices must be in writing (except in case of emergency or if the lease states otherwise) and writing includes faxes but does not include e-mail. The purpose of an entire agreement clause is to set the limits of contractual obligations and to prevent the party relying on the clause from being liable for representations made before the lease is entered into. In this clause, the landlord seeks to exclude liability for pre-contractual (mis)representation. This will only be valid if it is reasonable and the issue of reasonableness will be looked at in the context of each particular case. The exclusion of the operation of the Contracts (Rights of Third Parties) Act 1999 is excluded, the effect of which might otherwise be to give certain third parties the benefit of provisions in the lease. It is common practice to include a statement that the lease is a new tenancy for the purposes of the Landlord and Tenant (Covenants) Act 1995 (i.e., one granted after 1 January 1996) so that the status of the lease is clear. It is provided that English law will apply to the lease and that it will be subject to the jurisdiction of the English courts.